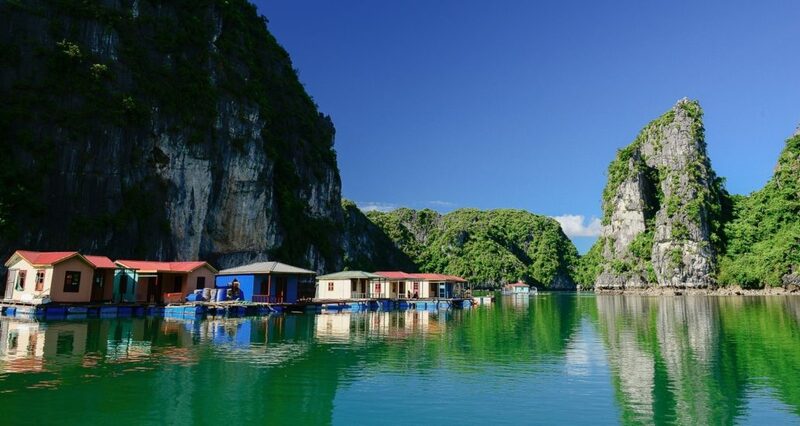 Vung Vieng fishing village, as a new and full potential tourist destination, has left a good impression on travelers’ mind about an image of Halong Bay cruises which not only is a great rendezvous but also preserves many unique cultural values. 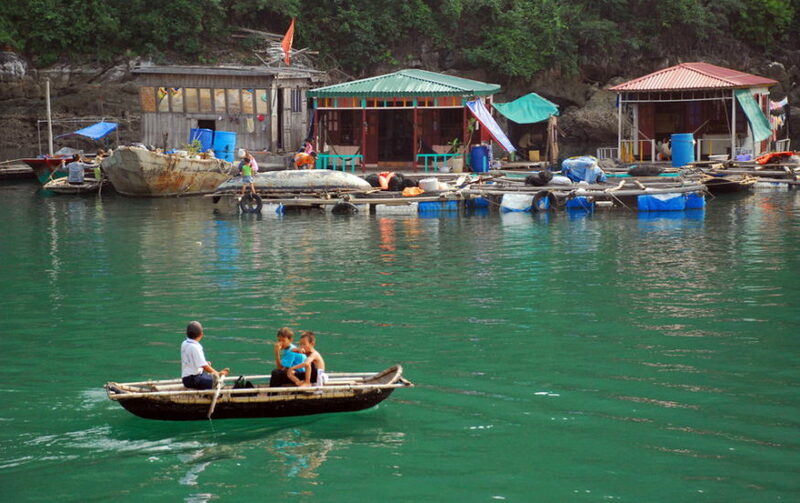 Vung Vieng fishing village, about 24 km from the mainland, in the center of Bai Tu Long Bay, possesses a pleasant, peaceful location with breathtaking scenery. 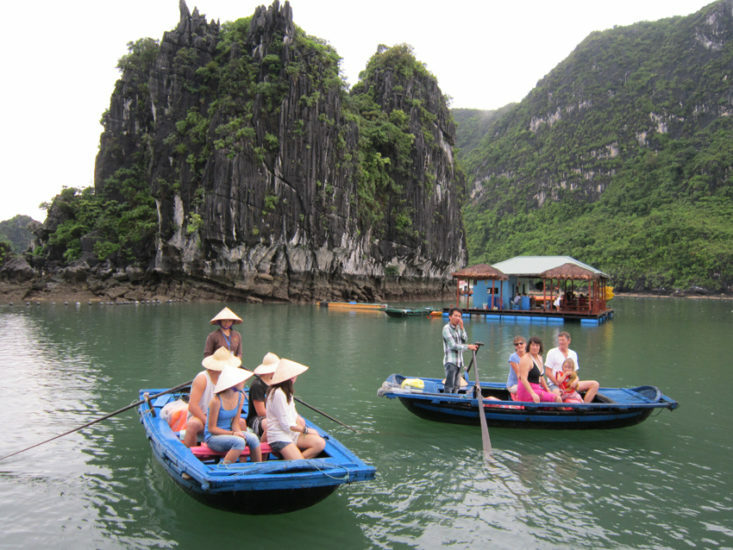 Halong Bay often makes many may immediately think about the gorgeous natural scenery and romantic homeland, about the lovely fishermen who are always busy with their living all year around but still smiley and strangely hospitable. Vung Vieng village is the convergence of all these beautiful attractions. It is also home to the typical cultural characteristics of fishermen inextricably living with the sea. Coming there, you will surely be mesmerized by the beauty of the colorful boats, the particular fishing nets in front of the locals’ houses, the happily smiling fishermen and lovely children on their boat on the way to school. Vung Vieng fishing village, where all of living activities happen on the boat, is the system of the floating village on sea. 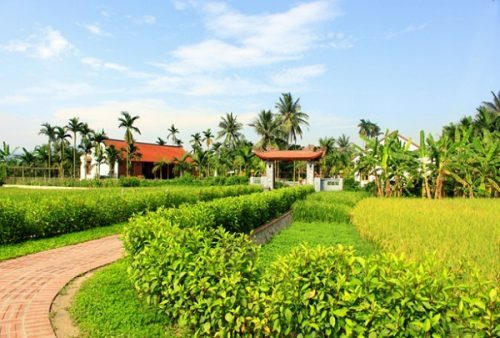 Vung Vieng fishing village has now become one of the most popular tourist attractions in Bai Tu Long alluring travelers by its splendid natural landscapes. 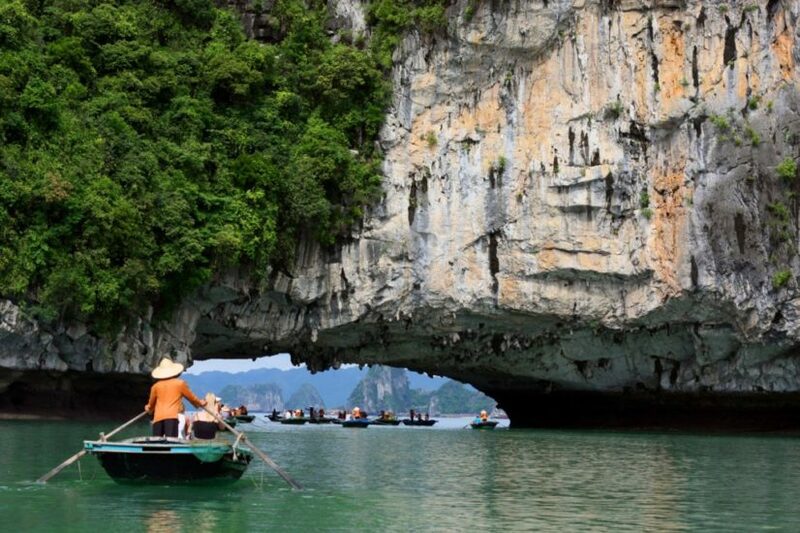 In addition to the charm of endlessly stretching mountains, pristine marvelous grottoes and caves, you can also take part in the fishing activities, comfortably sunbathe on flawless sandy beaches along the mountains or enjoy delicious seafood specialties. The beauty of Vung Vieng comes from the harmony of the rafts and floating houses mingling together. Travelers coming there will certainly be attracted by the bamboo nets in doorstep, the small boats and the dark skin babies with innocence and cheerful smile. If you are lucky, you may enjoy singing vocals of boys and girls engaged in sea. Tourists will be seduced by the sweet and loving vocal echoing over the waters. Daily life of the locals in Vung Vieng fishing village and activities on the water are unique cultural features only available in Halong Bay. The magnificent landscapes and special culture bring Vung Vieng fishing village to the top of the most beautiful tourist sites in Halong. What you can do in Vung Vieng? Coming to Vung Vieng fishing village, you will have a chance to experience fishermen’s daily life like kayaking to travel and contemplate scenic around fishing villages; visiting the Vung Vieng cave, Vung Vieng floating cultural house, pearls cultured area, fish cages; going fishing (local fishermen will instruct you how to cast fishing, netting, trawling and take fishes from the nets like a real one); enjoying seafood specialties; garbage catching on the waters (in the project For a Green Halong of the Halong Bay Management Board); purchasing jewelry made from pearls on the boats and souvenirs made from oysters, shells, etc. 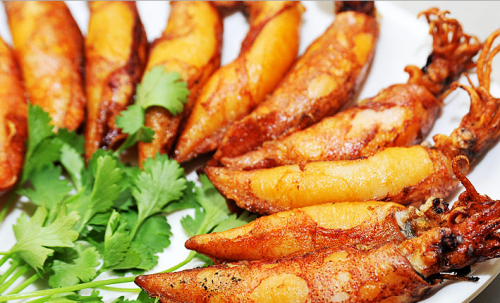 If having much more spare time, you are encouraged to participate in the tour of Vung Vieng Night. 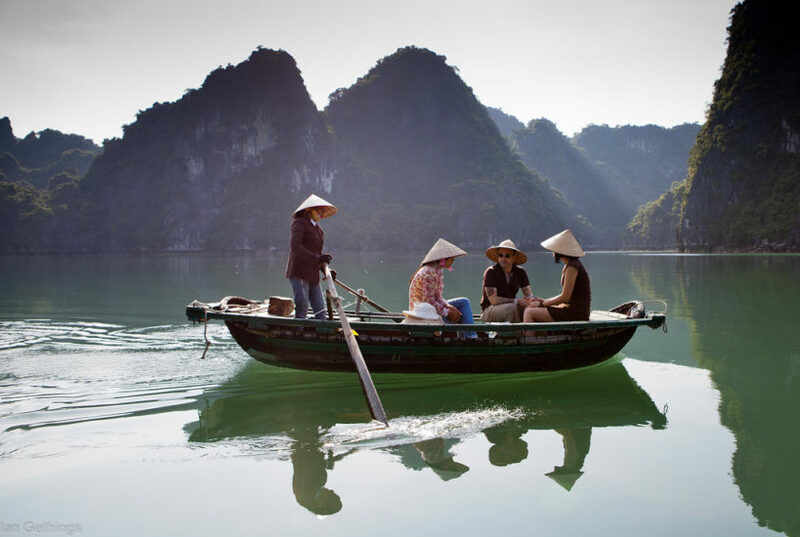 It is your great opportunity to admire and enjoy the indigenous cultural values and especially, experience morning in Vung Vieng fishing village – an unforgettable memory during your stay in Halong Bay. The picture of small boats, gently in the early morning mist, waving out to sea along with these boats up and down, will definitely cast glamour over travelers. As the night falls, under the light of moonlight and oil lamps, you will take a seat on the small boats to listen to love singing vocals, go fishing with fishermen, experience night squid fishing or drop lanterns.